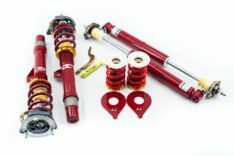 For models with factory adaptive suspension. 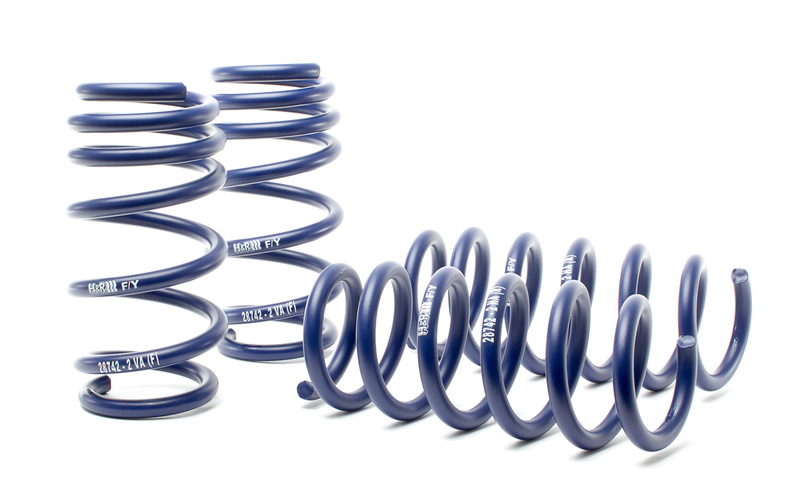 The most popular spring in H&R's line-up Sport Springs will lower your vehicle an average of 0.80 inches for a lower center of gravity improved handling and a more aggressive appearance. Sport springs feature a spring rate that is firmer than that of the OE spring but is still comfortable enough for daily use. 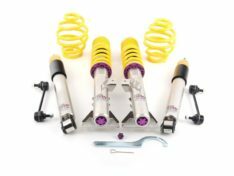 Sport springs are an excellent choice for street and occasional track use. Product added to your wishlist! Front – 0.8" / Rear – 0.8"
From every angle, the new Audi R8 V10/V10 Plus is rolling art. To enhance the esthetics of the R8 even further, H&R ride development engineers created a Sport Spring for premium performance and superb ride comfort. H&R Sport Springs lower the beautiful body lines of the R8 approximately .80 inches in the front and rear. Lowering the vehicle’s center of gravity improves handling and creates a sleek European stance – turning your R8 into a masterpiece. 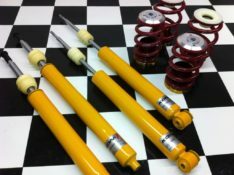 Like all of H&R’s products, H&R Sport Springs are 100% made in Germany. Special high tensile strength steel alloy is used, allowing for the use of a smaller wire diameter for reduced unsprung weight. This results in a lighter weight, stronger spring. 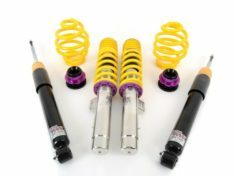 H&R Sport Springs come with a limited lifetime warranty. Special orders welcome. Please contact us. Online support is available 24 hours a day, 7 days a week.